Deontay Wilder’s next heavyweight title defense will be against Dominic Breazeale on May 18 at the Barclays Center and will be televised live on Showtime. 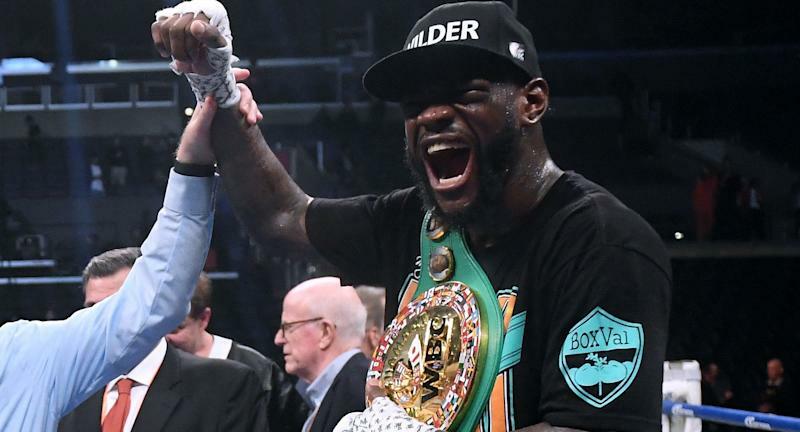 Wilder fought to a draw on Dec. 1 in Los Angeles against Tyson Fury, which was the biggest fight of the year. He was expected to fight Fury in a rematch, but not long after Fury signed with Top Rank, Top Rank announced Fury would not take the immediate rematch. “Deontay has made a choice that both represents loyalty and will be financially lucrative for a long, long time,” Stephen Espinoza, Showtime’s president of sports, said during a news conference Tuesday in New York. Espinoza called it a “premium fight and a high-quality fight,” and noted it represented Showtime’s commitment to boxing. Wilder is 40-0-1 with 39 knockouts. He had Fury down twice, including in the final round, during their Dec. 1 fight. Fury got up, though, and made it to the finish and the bout wound up a split draw. Breazeale is 20-1 with 18 knockouts. His only loss was a seventh-round TKO to IBF-WBA-WBO champion Anthony Joshua in 2016.